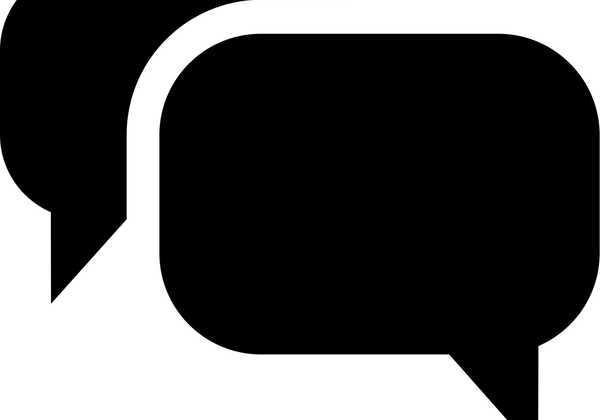 From the early days of IRC to Facebook, chat has become increasingly popular. However, in a world with NSA surveillance, how sure can we be that our chats aren't monitored? Now, the free online chat service Hack.Chat gives us a private, secure chat option, which doesn't require identification. Will you be using Hack.Chat? ...and we are set with an instant chatroom. And that's it. Seriously, that is it. Anyone who types the same address will join as a member. 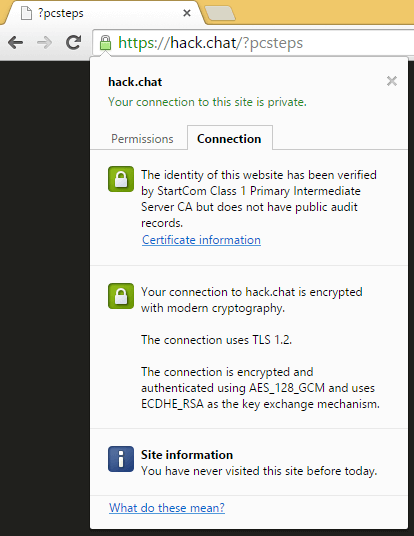 Since Hack.Chat is using the https:// protocol, all our communication is encrypted. 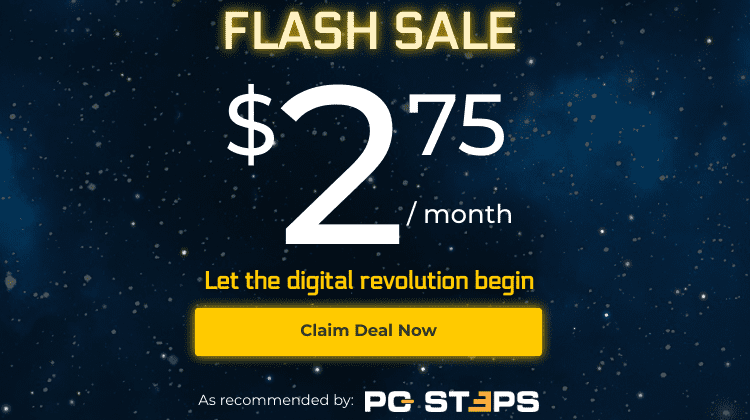 Moving the mouse to the right of the website will show a sidebar, which we can pin. 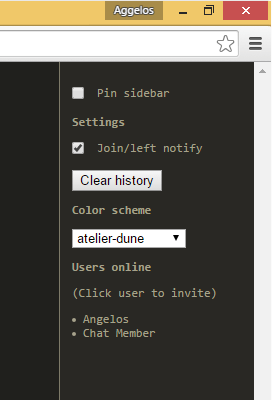 This sidebar contains a select few options that allow us to get notified about who joined or left, to clear history, and change the color scheme. All of those options are personal for every member of the chat. We can't force any options to the other users. The color scheme options aren't too diverse. The background will always be dark, and the font colors don't change that much. A chatroom remains active as long as there is a single member inside. New members have no access to what was told earlier. Sort of any member taking a screenshot copying and pasting everything manually to a text document, no chat log is saved by Hack.Chat. Last but not least, we can invite members of the chatroom to a private chat. We just need to click on the member's name on the sidebar, and they will be privately invited to a new, random named secure chat. 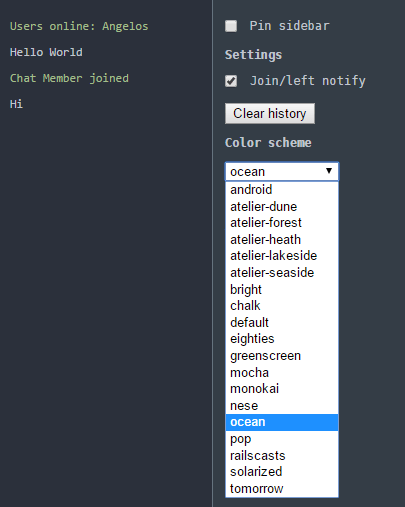 This is a full Hack.Chat chatroom, and as such we need to select a new nickname. Having an instant, secure chat is nice. But, it has its disadvantages. For starters, there no kind of moderation. The person who first starts a chatroom isn't an "Administrator" by any measure. They don't have any power over the other members, and can't kick or ban anyone that might be disruptive. There is also no profanity filter whatsoever. The only measure the system will take, is if somebody tries to flood the chat, and it will temporarily stop them. In conclusion, Hack.Chat is not a right choice to create big chatrooms with strangers; it is more suitable for personal communication with a couple of friends or colleagues. 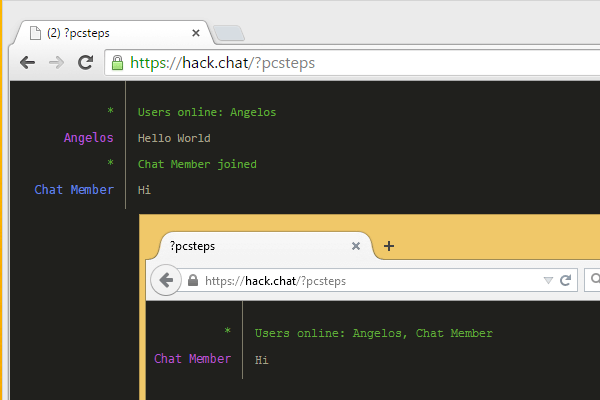 Do you think that Hack.Chat is an adequate medium for communication? Or do you prepare another method for a secure chat? Leave us a comment.